iSTUFF proudly presents ‘ISWIsion’, a daily TV-show that will run over the duration of the ISWI. iSTUFF is the local student television crew and a department of the Forschungsgemeinschaft elektronische Medien e.V. (FeM). We are the biggest student nonprofit organisation around the university. During the whole student week, camera teams will record impressions of the events all around the campus and the city. These records will be presented every evening at 7 pm in the daily ISWIsion show on the Internet and via television broadcasting. Even better, you can watch the show together with other local and international students live at the university´s Ernst-Abbe-Zentrum (EAZ). We would also like to invite you to be part of our television show and we would be glad to welcome you as a guest or, if you’d like, even as the host of the TV-show. We´re looking forward to having a great week with all of you! ISWIradio – You’re listening to 98.1 FM! 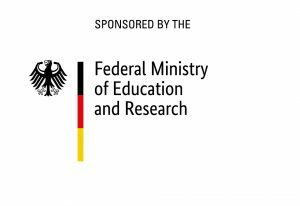 Ever since the first ISWI in 1993 the hsf studentenradio (student radio hsf), the oldest student radio in Germany, has been supporting ISWI events with a broad variety of content coverage. ISWIradio is a special programme: On each of the 10 ISWI-days there will be a 24h live broadcast for you. It will include news, music and a lot of fun and action – in both English and German. Our schedule provides a large variety: Daily morning shows to get up on the right foot, music from all over the world, input, information and recordings of speeches held by well-known people. We are looking forward to meeting you! Simply visit our radio station or become a guest in one of our shows. You can listen to our radio shows via livestream on www.iswiradio.de or on 98,1 MHz (FM) in Ilmenau. 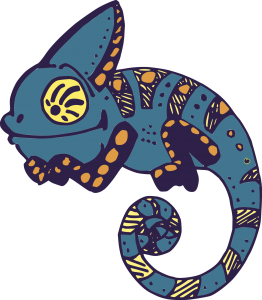 Just click on the chameleon.